The final bell rang and a loud voice echoed across the room ” Pens down please!!!”. The 2nd grade final exams had come to an end and the best three months in the life of children across the world had commenced, summer vacations were here. I stayed on an extra few hours playing cricket with class mates and finally took the rickshaw ride back home. The first few weeks rolled by riddled with getting up late, gulping down the glass of milk ,out to play cricket followed by lunch, cricket again and finally dinner. One evening while drinking lemonade , my mom pulled me to the side and announced that my dad was going to take us on a trip to a hill station called Kodai Kanal. Hill stations are left behind legacies of colonial rule and served as escapes from the dusty and balmy plains to the clean air , water and cooler locales offered by higher altitudes. With the packing complete we left Bangalore early in the morning and I was all ears as my dad described each spot we drove by and his history at those places , all thanks to the gift of travel given to him by my grandfather. Time flew by and we made a pit stop in Erode. Here we switched vehicles and were given an all wheel drive vehicle by my dad’s friend in Erode. Many twists, turns, overtaking maneuvers and hairpin bends later , we were greeted by the sight of the lovely Silver Cascade Falls. We stopped for a few moments to enjoy the fine mist spraying onto our faces and sampling fresh carrots purchased from local vendors setup around the area. We hopped back in headed to the hotel, had a quick shower, a refreshing meal and off to bed . The next day as advised by a few of my dad’s friends we rose early, showered and after a quick continental breakfast headed to Kodai Lake. We did this to beat the mad rush for boats and an opportunity to enjoy the serenity and awesome experience of boating in the light fog rising off of the surface of the lake. We rented a pedal boat and with me seated in between and my parents pedaling on either side we set off. Eventually, my dad let me navigate and even pedal with my tiny feet resting on his feet. It was magical !!!!. We drifted around for a few hours , pulled ashore and headed off to lunch. 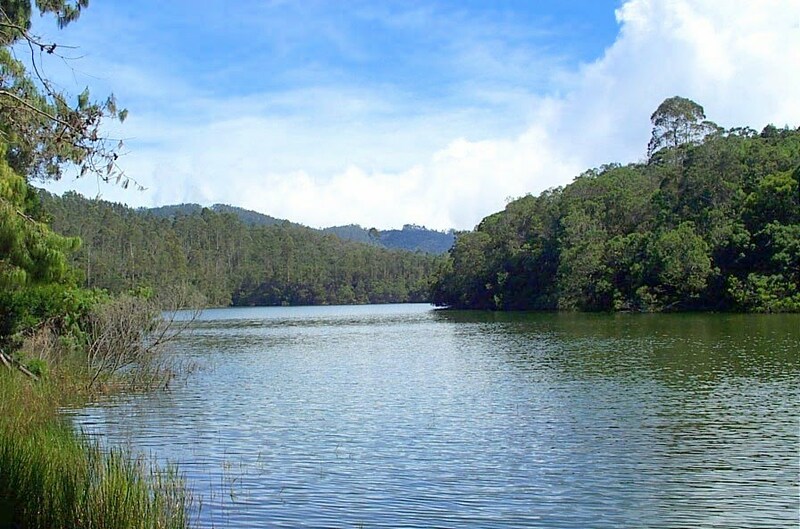 Kodai lake is located in the middle of Kodai Kanal and is also called Star Lake as it has five-pointed ends . After lunch we headed off to Bear Shola falls. Located close to main bus depot they are named after the Shola forests which bring rainfall to the area . These are seasonal waterfalls and we were very lucky as major rainfall a couple of days earlier had created conditions to see these majestic falls. After the routine of a quick evening shower and meal we headed off to bed with new adventures looming over the horizon. The next morning we rose early, showered ,packed and after breakfast headed out by road to Berrijam Lake. Created as a water source and located on the Kerala Tamil Nadu border, this pristine lake with crystal clear water and the opportunity to view wildlife such as elephants , bison ,leopards and spotted deer looked like the page out of Encyclopedia Britannica :). No boating is allowed as it is a drinking water source. 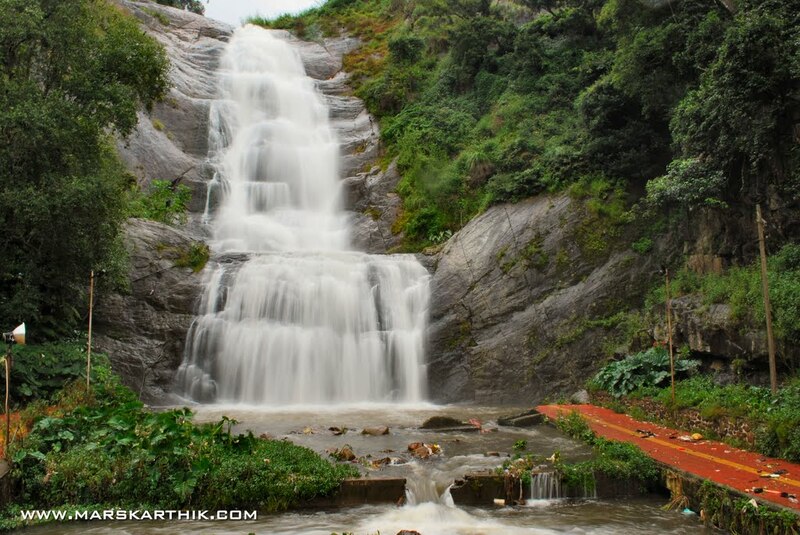 After admiring nature at it’s finest we headed off to Erode to return cars and we drove by Kodai lake and Silver Cascade falls and it finally dawned on me that the vacation was over. This was my first but not last trip to this magic locale. As we headed back home from Erode I was all ears again listening to the wisdom of my dad and once we got back the routine of gulping milk, cricket, lunch and cricket again resumed for a couple more months. 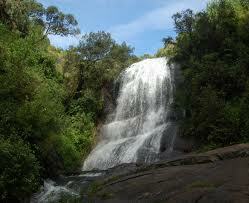 My next post will chronicle my next visit and why Kodai Kanal is called the “Princess of Hill stations”. As always looking forward to suggestions, comments and recommendations. My first ever trip as a kid was within my hometown of Bangalore. Growing up under one roof with my dad’s parents and my dad’s brothers and their families meant chaotic times . The pressure relief valve for the adults was to take the kids to Cubbon Park( http://en.wikipedia.org/wiki/Cubbon_Park). Once inside the park the first stop for the kids was the toy train know locally as the Puttani Express, which took kids on a full ride around the park. Once the ride was done it was time for cotton candy , ice cream and then running around to burn those calories off. While the kids were away the adults relaxed and took time off before we returned to the chaotic weekdays. These trips inculcated in me the spirit of family, sharing and responsibility as the bigger kids had to watch out for the smaller ones. It also was the start of admiring nature, trees and how important garden space was to a city. We all have our reasons to travel ranging from stress relief to looking deep into ourselves to find out what we are made of. The cat i wanted to bell the most in my life is who am I truly and is travel truly in our genes. I got the perfect opportunity to do so when a brief conversation with a colleague led to the discovery of the National Geographic Genographic project https://genographic.nationalgeographic.com/. Just as we have passports with visa’s stamped in their to track our travels , our DNA has its version called Marker or tracer genes which could help us trace the path our ancestors took which led to the passing of the travel gene across generations.Apart from a scientific interest it’s my honest opinion that if we all did this it would show that we are not that different underneath that skin. The infographic details my DNA breakup and that path taken by my maternal and paternal ancestors. I hope this will inspire more people to share our “human story” as National Geographic calls it. As i said in my previous post my 33 year 10 month journey is but a speck of dust in this vast human story. Let’s rewind the clock by 33 years 10 months. The birds chirped as the sun crept up over the Western Ghats . A young married couple hurried out the car and up the steps towards the entrance of the temple. As they passed a mango tree laden with fruit one ripe, golden mango set itself free aided by gravity, and dropped into the young woman’s arms. It was June of 1980 and 9 months later in March of 1981 I entered the world, My origins started with the travels of a young couple to a place which held the promise to fulfill their prayers and I have been smitten with the travel bug since . The tile of the blog says Brazil to Bellary , as that is where the idea for this blog originated. However, the reason for this delayed first post was all the thinking into where to start this story from.In the next post these 33 years 10 months will be a speck of dust compared to the fabulous journey i hope to take everyone on.